Toy drones can be a lot of fun and the fact that you can easily maneuver them in any way you want while also doing flips and other cool acrobatics does work to your advantage. You need to keep in mind the fact that these drones aren't expensive, not to mention you get only what the stuff you need. There's no GPS connection or any other feature. If you want a good, solid drone that you can use to have fun, this is a nice addition to your collection. This is one of the better toy drones out there. 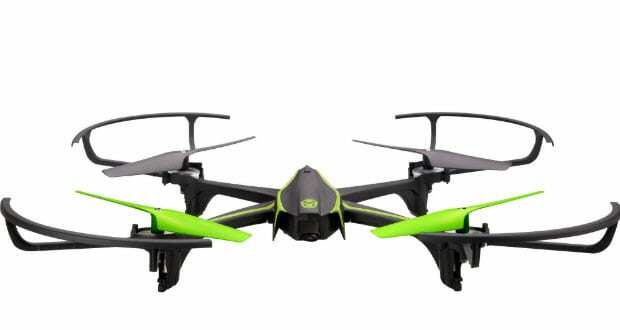 At around $49, this model is designed to bring in a 2MP camera as well as 5-8 minutes of flight time. 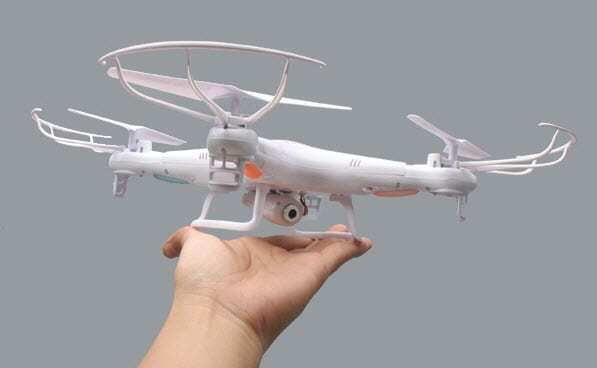 It works great, it manages to bring in a resounding experience for all kids and it's certainly one of the smallest drones out there with only 1.5 pounds in weight. The drone on its own has a 720p camera and at the same time you can man it with little to no effort. This is a very durable drone and the repairs that you get from it can be second to none. The charge time is also around 90 minutes, which seems to be ok.
Cons: Considering that you get only 5 minutes of flight time or so, you need quite a lot of time to charge it. What you will like about this one is that it's one of the few toy drones that has a 3D split screen display. You can even use the VR headset you have at home in order to experience full VR if you want. They added a headless mode, FPV real time transmission and the controls are very good too. Another thing to note about this particular drone is that it has 10 minutes of flight time and 720p video recording. It's certainly worth your time if you are a drone fan, not to mention that maneuvering it is very easy. The FPV system does a very good job but the 0.3 MP camera does show its limitations. Still, you can easily operate it outdoors without a problem and with a bit of attention you can even man it indoors as well. This is certainly worth your time and the price of under $80 is very good considering what this drone can do for you. Air Hogs Star Wars is basically a small drone that mimics the Millennium Falcon from the series. It has LED lights, it even features Star Wars sounds and moving this around is really nice as well. They did a very good job at offering you a delightful and unique experience, not to mention that the quality on its own can be very distinct to begin with. The drone doesn't cause damage if it loses control and overall you will be rather impressed with the experience as a whole. The drone doesn't have a camera, but it does feature around 8 minutes of flight time and at 64 grams it really is one of the most interesting options for sure. It's well worth your time and you will enjoy using it quite a bit. 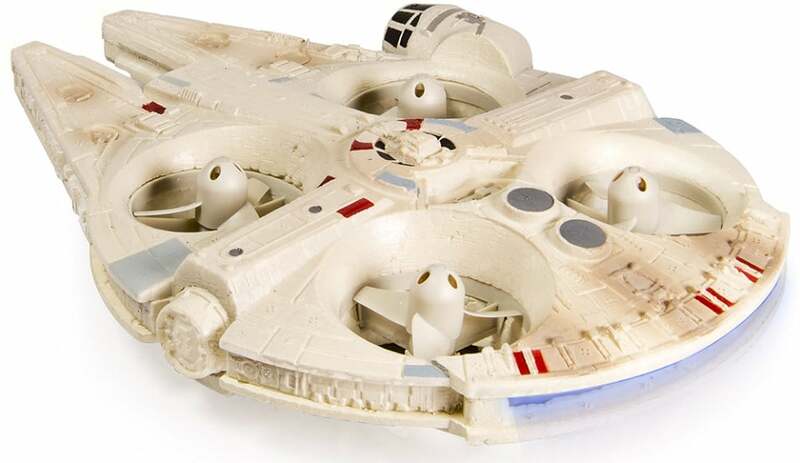 Pros: Star Wars theme, durable, lightweight, 8 minutes of flight time. The Sky Viper V590 HD Video Drone is delivering you 5 minutes of flight time and it can easily charge in 30 minutes. The controller at 2.4 GHZ is more than ok and the wingspan is short, but it does offer you the features you need. The transmitter can reach up to 200 feet, so it's really good. The Sky Viper V590 HD Video Drone is a very stable product, one that will be maneuvered with ease and little to no effort. The quality as a whole is great and the experience on its own is very rewarding. Yes, there are some challenges to be had along the way, but the Sky Viper V590 HD Video Drone works great and the fact that you have a good range with it does show its value. It's not expensive either and it has a 720p camera. This is a hexacopter and one that it's known to withstand a lot of damage. The product can have a 9 minute flight time and it doesn't have any camera. On the other hand, it's rather light and the value that you can receive from it will be second to none for sure. It's definitely worth your time and that's exactly what you want to have in the end. 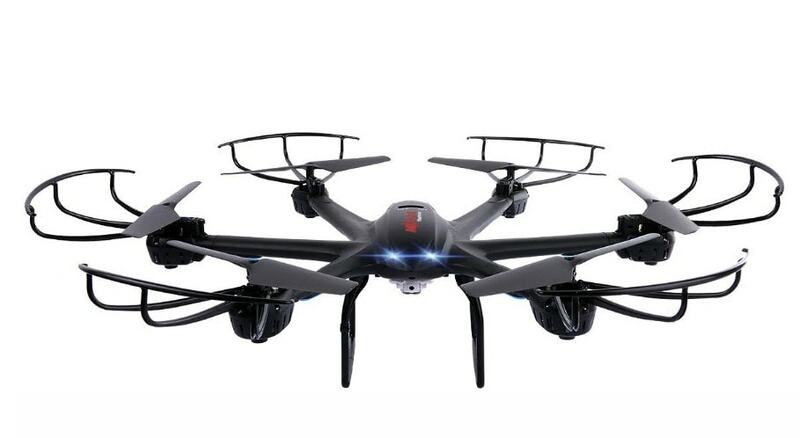 If you opt for this drone, you will like the fact that it has a one-key return and the Wi-Fi system works pretty well aside from the lag that happens at times. The batteries and replacement parts are also rather easy to find. Cons: Wi-Fi is rather laggy and the camera controls can be better. 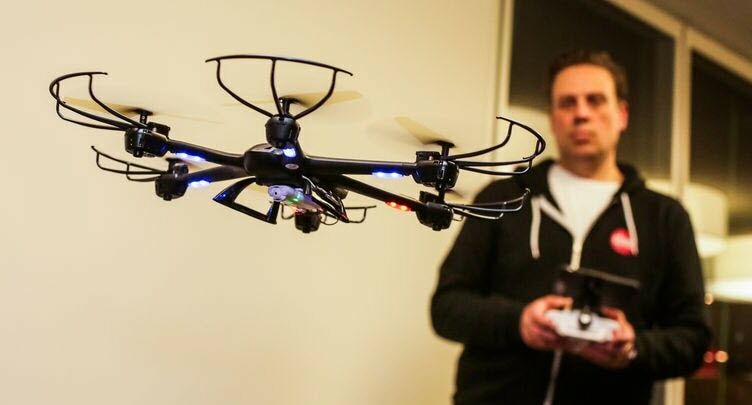 All of these toy drones can be a lot of fun to maneuver and use. If you like drones and want to try out some inexpensive, fun models then these are some of the best ones out there. Do that and you will be very impressed with the experience and results you can get in the end. So, check these out and you will have a lot of fun with them for sure!